It's called gold FEVER for a reason, right? But this isn't just another tired old tale about a lost gold mine. "There's a gold mine out there ..."
and the resulting preoccupation with gold becomes his new normal. He works in secret, lying and trespassing as he follows the vague clues provided in a cryptic riddle. Sam sacrifices love, friendship, and family, as he does whatever it takes to pursue his elusive goal. When a solution finally seems within reach, his gold fever takes hold and nothing, not even a new love interest, can stop him from hastily planning another perilous trip. Join Sam as he recklessly heads out into the wilderness, confident that he will find something, even if it costs him everything. 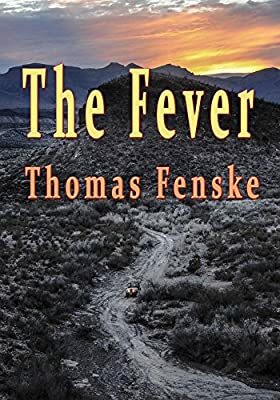 Thomas Fenske currently lives in North Carolina but he was born and raised in Texas, and his native Texan roots run deep. He's braved long stretches of endless Texas highways in search of the best Chicken-Fried Steak, Chili, Texas BBQ, and Tex-Mex food. He's hiked west Texas mountains, canoed rapids on the Guadalupe River, suffered through waves of mosquitoes in The Big Thicket, and rafted the Rio Grande. He's blistered in the heat of the long Texas summers, endured hurricanes, ice storms, hail, wind, and floods. He has even ridden across ranchland looking for a lost "little dogie" ... how many Texans can say they did that?